Every year as the weather starts to get colder, we look for an easy way to update our fall and winter wardrobes. We're constantly adding to our denim and legging collection throughout the year, so it's usually our sweaters that need a refresh around this time. 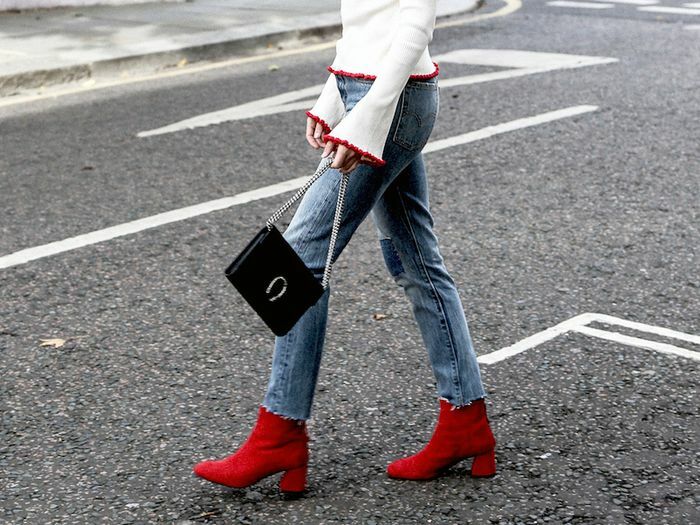 The style we have our eye on this season is the bell-sleeve sweater, a nice progression from the flare-sleeve tops we wore earlier in the year. The drape of the oversize sleeves creates a stylish, dramatic statement we can't get enough of. Plus, the standout sleeves help to create an interesting silhouette during a season that usually leaves us feeling frumpy as we pile on all the warm layers. The contrast stitching makes this bell-sleeve sweater a standout piece. At under $100, we're definitely scooping up this ribbed sweater. This black option is guaranteed to get a lot of wear. This bell-sleeve sweater is a minimalist's dream. A neutral option can be paired with everything in your closet. Oh, Ellery, how we love your designs. How fun is this bright striped pick? We love how a pastel sweater looks with a classic pair of jeans. This cashmere sweater is a timeless investment piece. This sweet pink cropped sweater would go great with an unexpected pair of black patent-leather pants. We could live in this cozy knit all winter long. This is a perfect going-out option. This sweater is guaranteed to be spotted on a street style star at some point. These bell sleeves are super drapey, making for a great silhouette. Our editors are always looking for the perfect red sweater. This navy-blue pick is perfectly cozy. This white sweater is perfect for the office with anything from a pair of trousers to a skirt. A pair of black leather pants would go well with this striped pick. This knit almost looks like there is a sheer layer on top. We love the contrasting neckline and cuffs. This beautiful cashmere knit would make a great gift. The exaggerated bell sleeve here makes for a subtle statement. Another stunning cashmere option worth considering. A lavender sweater is a great way to refresh your knit collection. How great would this sweater look with a printed midi skirt? This grey design brings the term ribbed knit to the next level. Still looking for more cool tops? Check out these cute tops to wear with jeans all fall long.